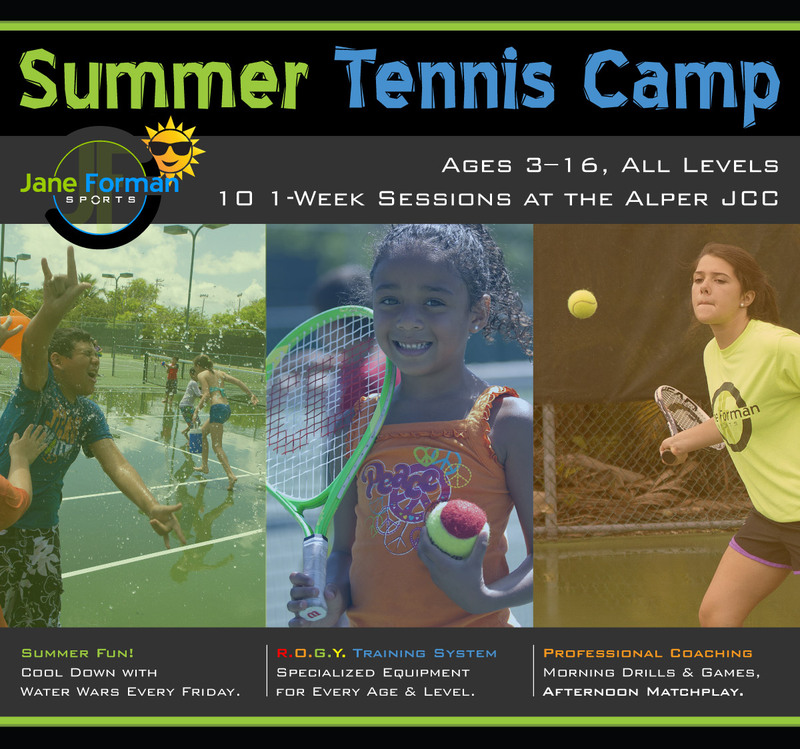 Summer Tennis Camp is coming soon, which means your kids can look forward to 10 weeks of action-packed fun at the Alper JCC or Coral Pine Park. 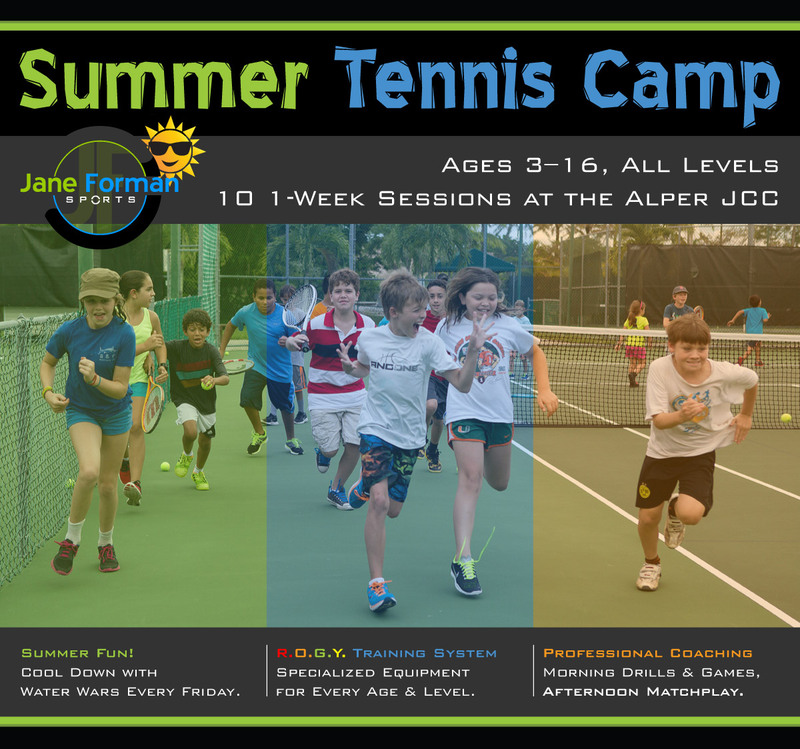 Each day day includes fun and instructive games and drills, followed by lunch and competitive match play in the afternoon. 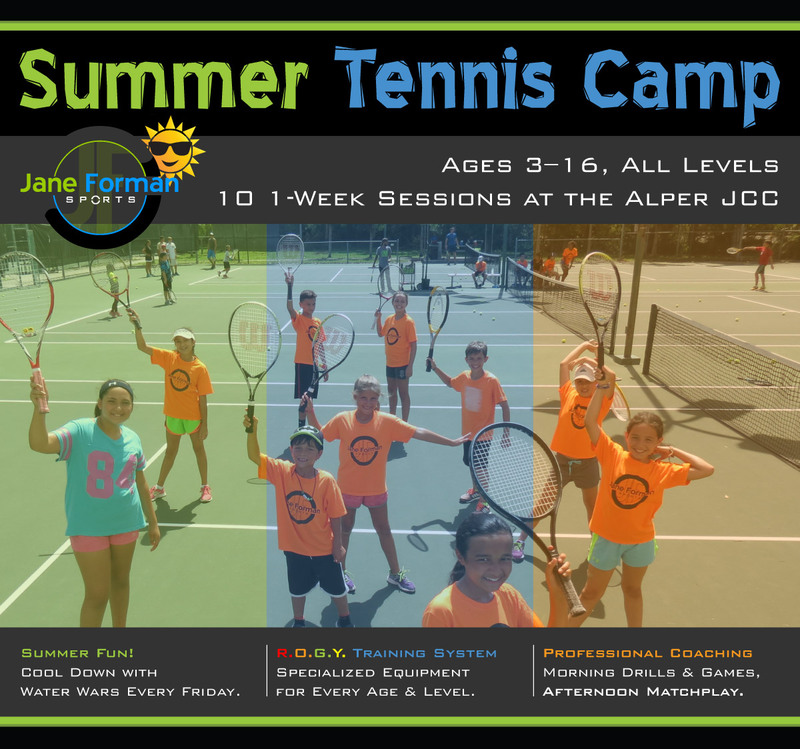 Campers are grouped by age and ability. Coaching is based on the USTA’s ROGY training system, which uses specialized equipment and games for students at each level of development. For younger campers, we break up the day with arts & crafts and other age-appropriate activities. 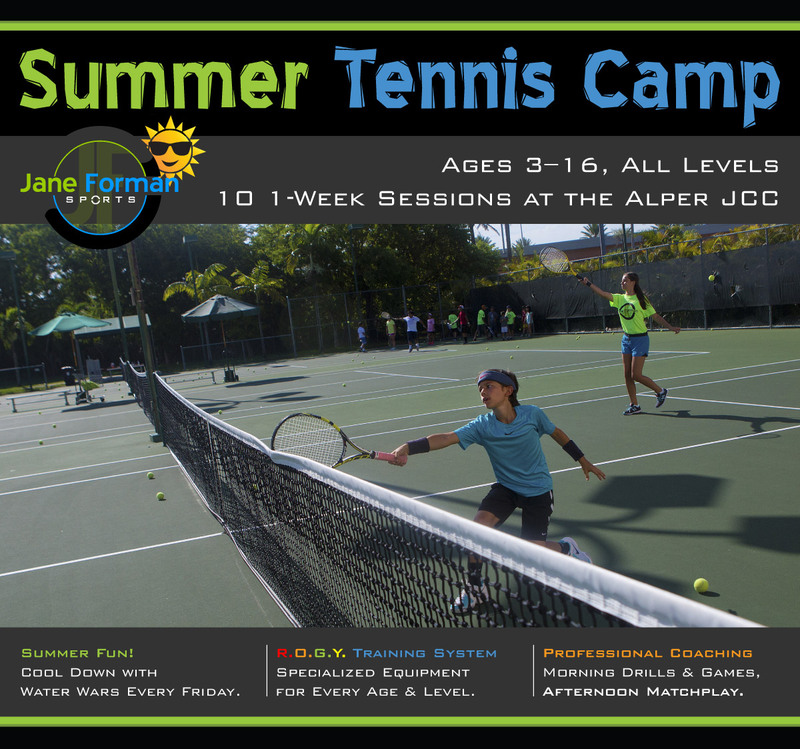 Professional tennis instruction & action-packed games on the courts. 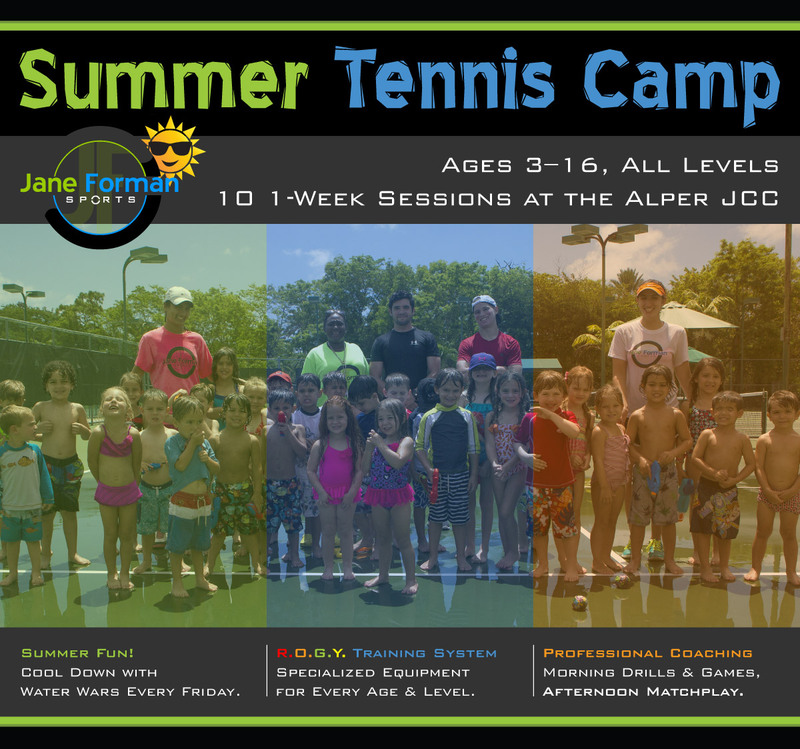 Ages 3–16, 9:00 AM–12:00 PM or 12:00 PM–3:00 PM, $140/week. Tennis instruction in the morning, followed by afternoon games & matchplay. Ages 3–16, 9:00 AM–3:00 PM, $240/week. Play tennis in the morning. Assist our coaches & earn community service in the afternoon. 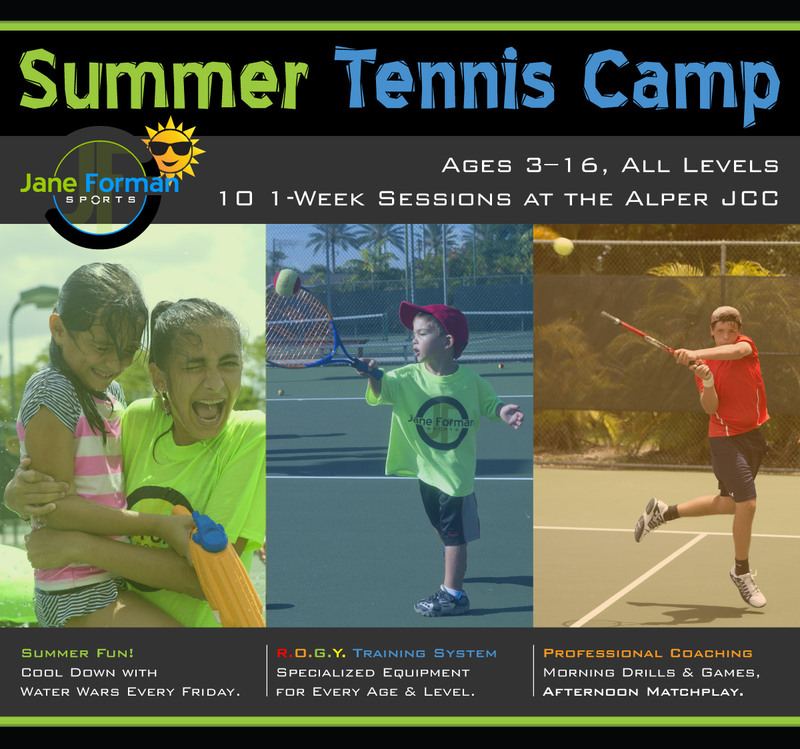 Ages 3–16, 9:00 AM–3:00 PM, $140/week.